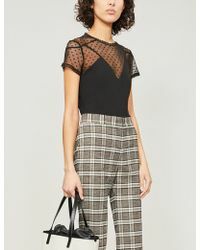 A name that has become synonymous with effortless style and easy chic, Maje is a must shop name for that quintessential Parisian style. 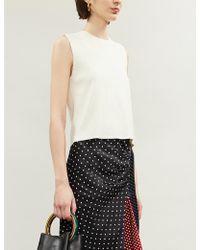 Its designs noted for the bohemian femininity and understated glamor that have become trademarks of the label, Maje has mastered the art of casualwear, bringing a polish to off-duty staples, be it denim, dresses or leather. 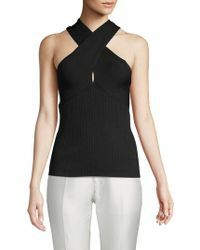 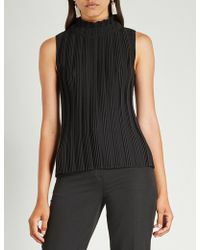 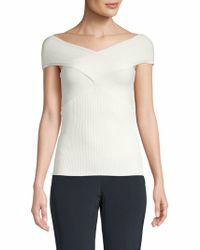 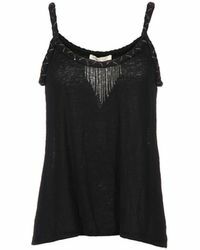 Shop its sleeveless tops for versatile pieces that can be relied upon during any closet crisis. 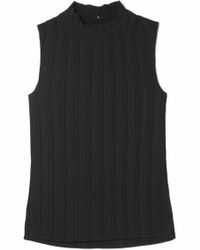 Embellished tanks can be dressed up or down, sleeveless blouses will take you from work to bar, while muscle T-shirts with graphic prints exude cool.